We believe in giving back to the community. Phi Delta Theta regularly participates in the philanthropy events of other Greek houses, the Berkeley Project, and the Relay for Life. Particularly special to us is our work with the ALS Association, in honor of Phi Delt alumnus Lou Gehrig. Every year, we go to the Walk to Defeat ALS at Lake Merritt, and recently have visited the state capital with the ALS Association to advocate more funding for ALS research. Our own philanthropy event, Spring MusicFest and Phive K for ALS, has raised thousands of dollars for the Bay Area chapter of the ALS Association. If you have a community service project that needs some extra help, please contact our philanthropy chair. 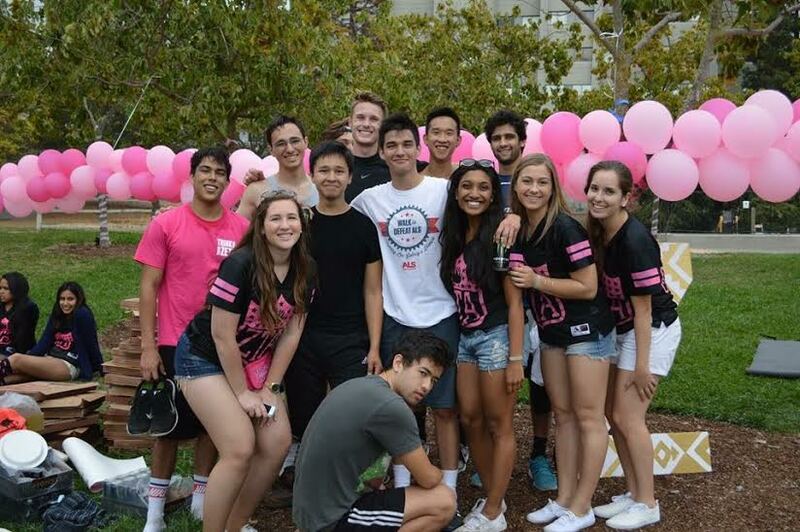 UC Berkeley Phi Delts participate in the East Bay Walk annually. Please join our team/ make donation!